In addition, they'll have an extended Passover catering and to go menu. Please place your to-go-orders at least 3 days in advance. Private rooms are available for Seders and Passover Week. Adults- $69, Kids- $49; tax included. Click here for their Pesach schedule, Seder and Chol Hamoed menu. They will also have a prepaid, pre-order lunch on Tuesday, March 26. They will be closed March 27th. All their foods will also be available for takeout. They will be open for Pesach for Chol Hamoed (Possibly for Seders as well - inquire within). Click links for their Pesach take out and delivery menus. They'll be open for pre-paid Seder and Chol Hamoed Meals. The take out store will be Pesach ready starting March 13th. Full butcher, bakery and prepared foods. 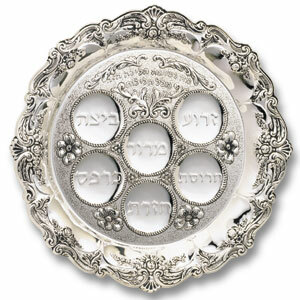 Talia's will offer special prix fixe Glatt kosher menus for both Passover Seders. Off-Premises Catering, Pick Up and Delivery are also available. Families and groups are welcome. Special seats for singles. They will also be open during Chol Hamoed, Yom Tov and Shabbat. Pre-paid Shabbos & Yom Tov Lunch & Dinner and reservation form for Seders and Last days of Pesach. Chol Hamoed menu and schedule. If their are any caterers that need a place for either of the Pesach Seders please inquire within the restaurant. They are leasing out the restaurant for the Seders as they did last year. And did you know that they have an amazing, new Executive Chef, Arthur Jones? He a former executive Chef at Barton G. Look for a new exciting concept happening after Pesach. They will be one of the only places open for Seders and Chol Hamoed Pesach. Seders by reservaion only. Be seated at your own Ceder table or join a group with a Rabbi cantor. $120pp - $36/kid - All inclusive.